Doctor Who starts with four episodes that originally aired 23 November 1963 with Unearthly Child, then The Cave of Skulls a week later, next The Forest of Fear, and finally wrapped up with Firemaker on 14 December 1963. Two teachers from Coal Hill School, Ian Chesterton and Barbara Wright, have concerns about a student of theirs named Susan Foreman. Although she is extremely bright her outlook on life in England is dour. Ms. Wright is the first to make the move to check out Susan’s home life. She goes to the address on file at the school only to find a junk yard where she expected to find a house. 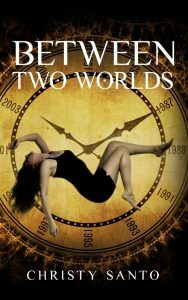 With encouragement from Mr. Chesterton the two teachers decide to try again to find out about young Susan’s life. Upon entering the junk yard shorty after Susan; the two teachers find themselves unable to find their pupil and instead come upon a police public call box. 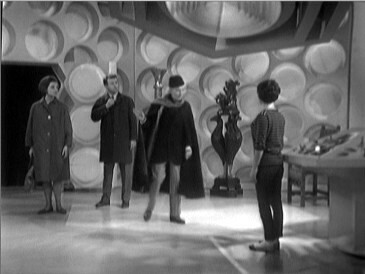 (It is really the TARDIS in disguise) Soon after an old man appears, he is referred in the episode as a doctor, but no surname is given. He arrives wearing dark coat and hat and immediately becomes suspicious of the two teachers and very protective of Susan, who is his granddaughter. Seconds later Susan’s voice is heard coming from inside the police public call box, the two teachers enter it with Susan’s grandfather on their heels. The teachers are shocked to see it is not at all what they expected. It is not a tight space but the inside of a strange and large futuristic looking room complete with a strange computer and controls. The doctor reveals some of the truth about Susan and himself telling the two teachers they are travelers from a far distant future. However, instead of releasing the teachers from the TARDIS, Susan’s grandfather grows worried the teachers will not keep their secret to themselves so, he activate the TARDIS controls and sends them all back to the Stone Age. Once outside of the TARDIS, a caveman captures the foursome and brings them to his tribe. He thinks his prisoners will reveal the secret of making fire so not only can he become leader of his people but they can survive the harsh cold too. But another caveman stands in his way, he too has the same desire to know the secret of making fire and he too wants to be leader of their people. Over the course of the other episodes that culminates with Firemaker, the doctor, Susan, ands the two teachers manage to gain a delicate trust: first with an old cave woman, then the caveman who captured them, then his rival, and finally Chesterton shares how to make a fire. However, his good deed does not lead to the foursome’s freedom and the group have to fake their deaths so they can escape back to the TARDIS. However, instead of returning to 1963 England the foursome find themselves on the start of a journey further into space and time. Based on these four episodes, and the film An Adventure in Space and Time, I will keep watching more of the early episodes of the Dr. Who series. They made sense and I didn’t feel lost as I did watching the more modern episodes of the who. That is, I did not feel like I was going off into the very deep end of Sci-fi where understanding can be difficult. This entry was posted in Christy's Reviews and tagged Doctor Who, First Episodes. Bookmark the permalink.